Why handle your cleaning duties on your own when you can have us and all our resources by your side. We are professional sanitation technicians and we provide top quality cleaning services at reasonable prices, so we can fit any budget. 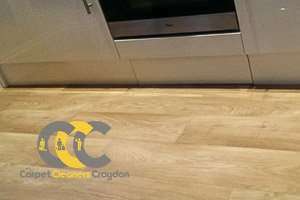 We have been in business for a number of years and today Carpet Cleaners Croydon is a household name which is synonymous with perfection, precision and punctuality. We have a team of well-trained and hard-working cleaners in Croydon who will meticulously organise and carry out your sanitation project regardless of its scale, timeframe and complexity. We have provided to our cleaning specialists the best and latest machines. We want them to be able to impeccably clean even the most soiled and tarnished areas and features of your household. It is also because of our tools of trade, that we can easily access all hard-to-reach areas of your property and clean them flawlessly, where you couldn’t. After all it is not by chance that we are credited to be the most capable sanitation experts in Croydon and the whole CR postcode area. Carpet cleaning – The size and state of your carpet won’t be an issue as we have the needed assets to properly sanitise both natural and synthetic rugs. We use only eco-friendly cleaning products because we don’t want to cause any damages and discolouration. We offer our carpet sanitation options from £23. We will also give you 50% off your carpet cleaning if you combine the service with our end of tenancy sanitation options. 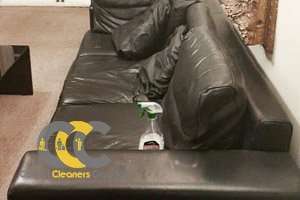 Sofa and upholstery cleaning – We can help you maintain your furniture upholstery in top condition. We can immaculately sanitise any type of fabric including leather. Our fees range from £36 to £108 in dependence of your couch’s size and the material from which the upholstery is made. Book an upholstery cleaning job for £80 and have your office chairs cleaned for free. Curtain cleaning – Allow us to clean your window treatments for you. We can clean all types of light curtain and heavy drapery without harming the fabric from which they are made. Our curtain cleaning rates commence from £19. Hard floor cleaning – We from Carpet Cleaners also specialise in hard floor cleaning. We know how delicate this type of floor covering is and this is why we always operate with utter diligence and apply protective coating to prevent future staining and to protect the wood from spillages. We charge £2 per square metre (minimum rate is £60). You can obtain further information about the reminder of your cleaning services by exploring our website or contacting our customer consultants by telephone or e-mail. We operate with a flexible schedule which drastically facilitates the bookings process and allows us to manage our work for any day and time that best suits you. Don’t be hesitant to contact us on a short notice. We have the ability to accept same day bookings. Even more, we understand the needs of the local business owners and this is why we carry out late night operations, without disturbing their daily operations. Feel free to contact us at any time of the day and request your personalised free quote. You can see for yourself that we are indeed the most reliable, competent and affordable cleaners in your area.